The Las Vegas Monorail, a 4-mile elevated monorail system, serves seven stops on the Strip and makes it easy to get pretty much anywhere you would like to go on the Strip. Its hours are very convenient, even for late night partiers, as it runs from 7 a.m. to 2 a.m. Monday through Thursday and 7 a.m. to 3 a.m. pm Friday though Sunday. So where does it stop? There are seven stations: the Sahara Station, the Las Vegas Hilton Station, the Las Vegas Convention Center Station, the Harrah's / Imperial Palace Station, the Flamingo / Caesars Palace Station, the Bally's and Paris Las Vegas Station, and the MGM Grand Station. As you can see, it takes you nearly everywhere. From each of these stations you are in easy walking distance of numerous Strip transportation. It gets even better. 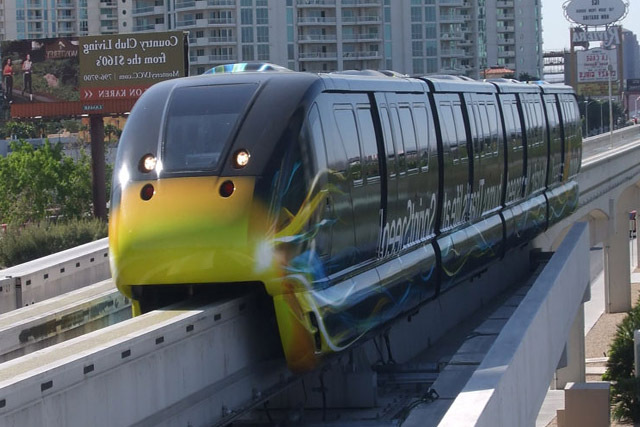 The monorail is much more cost-effective than a taxi or car rental. Prices for tickets and passes range from $5 to $40. You can buy tickets online while planning your vacation or do it at ticket vending machines at every station. 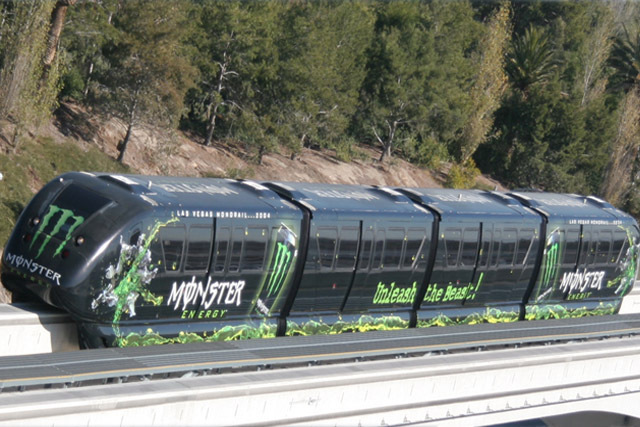 The monorail is also environmentally friendly. One less car on the road means less pollution in our atmosphere. Furthermore, it is incredibly reliable—it is on time 99% of the time. Trains arrive every five to seven minutes during its hours of operation. However, unfortunately it doesn't provide Las Vegas transportation all the way to airport, you can book a shuttle for 12 dollars. Don't worry about discomfort on the monorail, either. It is climate controlled so it stays cool in the summer heat and warm in the winter. In the future, the monorail will be even more convenient. Clark County awarded it a permit to be extended to the airport. Your entire trip will become a lot smoother once the expansion is completed. In short, the monorail really connects tourists to the Strip, making it much easier to make the most of your time. Come ride this safe, comfortable and convenient Las Vegas Strip transportation system. Las Vegas Monorail - Three Day Ride Pass $40 ; Ages 6 & Up (5 & under free) . Check availability for other pricing options. I always take the monorail whenever I come to vegas. The ride is fast and safe. I'ts a lot faster then taking the bus up the strip and waiting in traffic to get where i want to go. The price could be a tad less to go one way, but I guess it pays to get a 3 day pass, and you can ride as many times in any direction. I highly recommend it.